Everyone who rides motorcycles is dreaming of their next bike. It doesn’t matter if we have the money or not, or even if we’re serious about buying one. We’re always looking for the next one, stopping in at dealerships on the weekend, leaving through magazines at Borders or eyeing a machine on the street that catches our attention. They don’t even have to be new. There’s a correlation between the time one goes without a new bike and the desire to acquire one. I bought my bike in January 2000, so I think I’m due, even though my BMW R1150GS, now with 79,000 miles on the clock, has been dependable and comfortable and I have no thought of giving her up. 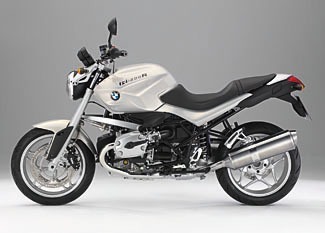 I’m looking at a couple of bikes now, sort of daydreaming about them: a Kawasaki KLR 650 and a BMW R1200R. The off-season for riding is often a good time to buy. The KLR is like my GS because it’s considered a dual-sport machine. The R1200R is like the one we rented in Vienna, Austria — the perfect road bike. So I’ve tried both, though the KLR I was on belonged to a friend in Arizona and the ride was short, just around the block a few times. It felt good. 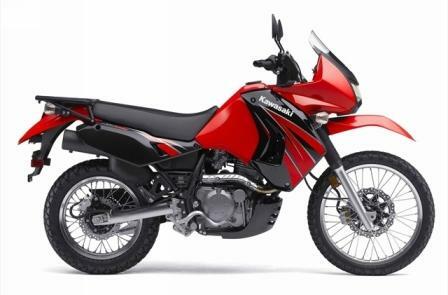 The KLR has received much praise as a motorcycle you can ride around the world. With just a little modification, it’s capable of long-distance travel over a variety of terrain. On freeways, it’s not the best — it has about 50 hp and a single-cylinder engine, so it’s working pretty hard at highway speed. It’s not meant to carry two people for long distances, at least not very comfortably. The R1200R is meant to stay on pavement. The Vienna bike was comfortable and powerful — about 108 hp, if I recall correctly. You could ride all day on that bike and still feel pretty good at the end of a long day. It has fuel injection — a quick twist of the throttle and you’re gone. The BMW is about twice the price of the Kawasaki, though. Prices aside, thinking about the next bike is like thinking about your next long ride, a delicious planning process, filled with maps and penciled destinations. Anything seems to be possible.